Charcoal masks are a safe, natural method of cleansing impurities from the skin. While there are still no studies confirming charcoal is effective as a skincare treatment, it’s long been recognized for its purifying qualities in drawing toxins from the body. Regular users of charcoal masks note reduced shine, smaller-looking pores, and more radiant skin. There is a range of peel-off charcoal masks for all skin types. Charcoal masks can also easily be made at home. Peel-off charcoal masks have recently become prominent with users championing the natural detoxifying benefits of charcoal to remove dirt, oil and blackheads when applied to the skin. Activated charcoal is highly porous and acts like a sponge, attracting surface oil away from the skin. After the mask is peeled off, the excess oil is captured within, leaving the skin shine-free. When a charcoal mask is peeled off, blackheads are extracted from the pores and adhere to the surface of the mask. 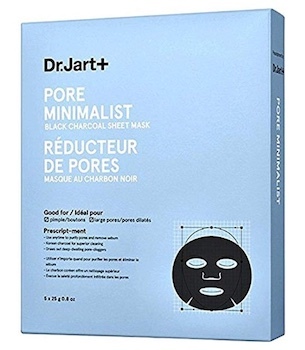 Clean, blackhead-free pores appear smaller. Regular users of charcoal masks report that with regular use their skin appears clearer, more radiant, and smoother. While there are still no clinical studies to support the efficacy of charcoal as a skincare treatment, those who use it report it removes impurities and cleanses the skin. Activated charcoal (which is charcoal that has been heated to increase its adsorptive potential) has long been used as an emergency room treatment for poisoning and overdose. There is therefore reason to believe that since charcoal can absorb toxins in other parts of the body, it may also work this way on the skin. 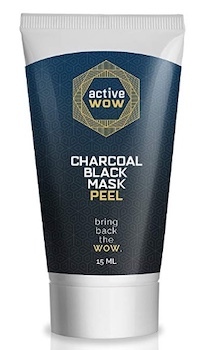 Peel-off charcoal masks have provoked both positive and negative reviews from consumers. Those who regularly use them report that their skin appears smoother and less congested, while those who have experienced problems with charcoal masks report irritation, redness, and breakouts. According to one cosmetic dermatological review, peel-off face masks are beneficial when the mask is matched to the individual’s specific skin type. Finding a high quality formulation that has been dermatologically tested and is suited to your skin type increases the chance of a positive experience. If you are interested in testing the benefits of charcoal masks on your skin, the following five masks combine activated charcoal with botanical extracts, helping to cleanse and refresh the skin. 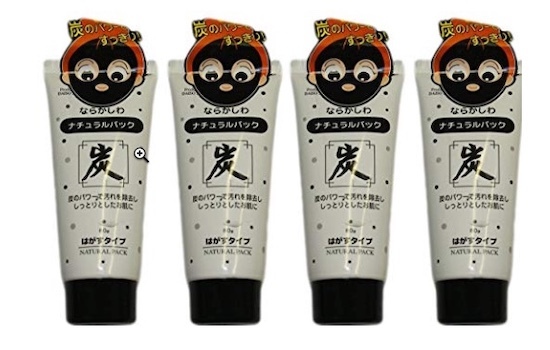 Daiso’s charcoal mask has received glowing reviews from regular users who praise its gentle yet effective formulation. Activated charcoal from oak trees pulls oil and grime from the skin, while mulberry extract helps to naturally brighten the complexion. Priced at less than $5 per tube, this is an extremely cost-effective option. Users report that the mask peels off relatively easily, with minimal discomfort. Skin looks refreshed and clean after use. Some users report the fragrance is unpleasant. Temporary redness or irritation may occur after use. 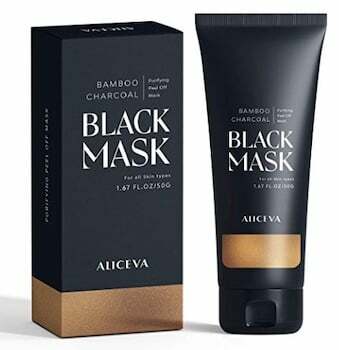 Aliceva’s mask includes activated charcoal sourced from bamboo helps to draw impurities from the pores. Glycolic acid is also included in the formulation, helping to remove dead skin cells and stimulate new collagen production for healthier looking skin. Some note this mask is more painful to remove than other peel-off masks. A thick layer must be applied or the mask might break when peeled off. This peel-off mask combines deep cleansing and hydrating properties. Aloe vera gel offers soothing, anti-inflammatory benefits, making this mask the perfect option for those with sensitive or dry skin. Smoother, improved skin texture with regular use. Some users note the mask breaks into pieces when being removed. The formulation contains a fragrance, which may irritate sensitive skin. The Escential Co. charcoal mask claims to eliminate stubbornly embedded blackheads and grime from deep in the pores. The formulation includes salicylic acid, which facilitates the exfoliation of dead skin cells and dry patches from the face. Amino acids sourced from corn further supports the appearance of supple, hydrated skin. A range of botanical extracts in the mask offer additional, natural benefits for the skin. Mask formulation is gentle enough for daily use. Vitamin E helps fight the visible signs of aging. A very thick layer must be applied or it may be difficult to peel the mask off. The mask may leave some residue on the skin which must be washed off. Black Out’s difference is it’s easy-to-peel formulation. The mask adheres closely to the skin, lifting dead skin cells, blackheads and dirt trapped in pores. Charcoal is combined with white kaolin clay to double the cleansing power. Thick formulation is easy to apply. As it dries the mask transforms from a gel to a film to facilitate removal. Some users report slight breakouts after use. Others report the product has an unpleasant chemical fragrance. 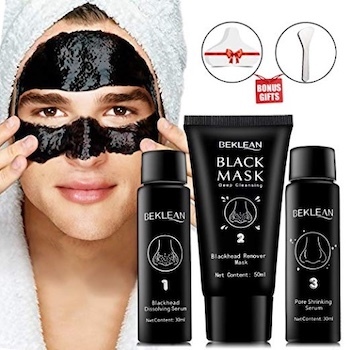 A three-part cleansing set targeting blackheads, BeKlean offers a complete charcoal cleansing experience. Step one is a blackhead dissolving serum to prepare the skin for the mask. Step two is an activated charcoal mask that reaches deep into the pores, adsorbing oil and dirt. Step three is a pore minimizing serum that tones the skin, further reducing the appearance of pores. Witch hazel offers natural anti-inflammatory and antioxidant properties. Pomegranate extract helps nourish and repair the skin. Skin appears radiant after use. A brush is provided to help with mask application. More time consuming than other charcoal masks — it takes approximately 45 minutes to complete all three steps. Mild redness may be apparent directly after use. Dermatologically formulated for larger male pores, this mask couples activated charcoal with kaolin clay to cleanse deep into the skin, lifting dirt, oil and bacteria. Regular users report that following use, their skin is clearer, smoother and shaving is easier. Mask can be removed after only ten minutes. A slightly more expensive mask than those found in drugstores or supermarkets. The mask is washed off, rather than peeled off. This sheet mask features activated Korean charcoal, spearmint, and arginine to thoroughly exfoliate the pores and leave skin feeling fresh and toned. Application is very straightforward: simply cleanse the skin, apply the mask, then gently remove after 15-20 minutes. Any remaining serum can be massaged into the skin. An ideal introduction for those new to charcoal masks: easy to use and gentle to remove. Arnica helps to soothe and calm the skin while gentian root extract delivers antioxidants and skin-brightening effects. Users report their skin felt refreshed and their pores appeared smaller after use. Some may find the fragrance of the mask overwhelming. 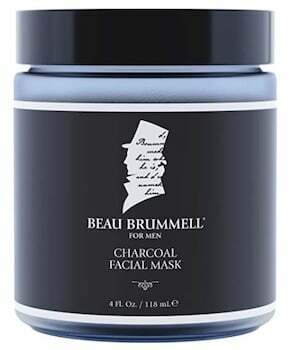 While ideal for sensitive skin, those seeking a more rigorous charcoal mask experience might find this mask too gentle. Charcoal masks can also be made at home using simple combinations of ingredients. Here are two easy recipes you can try to create a customized formulation. This sensitive skin mask couples kaolin clay with activated charcoal powder while aloe vera gel or coconut oil makes a creamy paste or gel with nourishing qualities. Kaolin clay is mild and suitable for very sensitive skin. Sprinkle the kaolin clay and charcoal powder over the aloe vera or coconut oil. Carefully mix or mash in until all lumps have gone and the mixture is even. Apply to the face. There should be enough for one generous application or two smaller applications. One drop of an essential oil such as rosemary or lavender can be added prior to mixing for it’s antiseptic benefits and to provide a natural fragrance. Leave on the skin for ten minutes before washing off. This mask combines one teaspoon of activated charcoal powder with one teaspoon of bentonite clay powder. Goat’s milk is then added to form a paste. Bentonite clay helps absorb any excess oil while goats milk contains lactic acid, removing dead skin cells and reversing sun damage. Sprinkle the bentonite clay and charcoal powders over the goat’s milk. Mix smoothly. You can add more goat’s milk for a more fluid mask texture if desired. Apply to the skin. There will be enough mask for one generous application or two smaller applications. Activated charcoal powder is a safe, natural beauty product. Charcoal masks that are constituted of high quality products and dermatologically tested are unlikely to provoke allergic reactions or cause serious irritation. However, homemade or cheaply formulated peel-off masks that combine activated charcoal with glue can seriously damage the skin, completely removing the protective outer layer of the skin (the stratum corneum) and stripping it of its natural oils. Regular use of these masks may lead to serious breakouts, or even scarring. Although to date there has been little clinical evidence supporting the efficacy of charcoal masks, regular users insist they offer excellent deep-cleansing benefits for oily, blemish-prone skin. While activated charcoal is a safe, natural substance that can be incorporated into one’s skincare regime, it’s still a good idea to consult with a dermatologist about a suitable, dermatologically-tested charcoal mask to address your skincare needs.